Genus: Heliotropium Tourn. ex L.
Heliotropium riebeckii Schweinf. & Vierh. This species is accepted, and its native range is Socotra. Miller, A.G. & Morris, M. (2004). 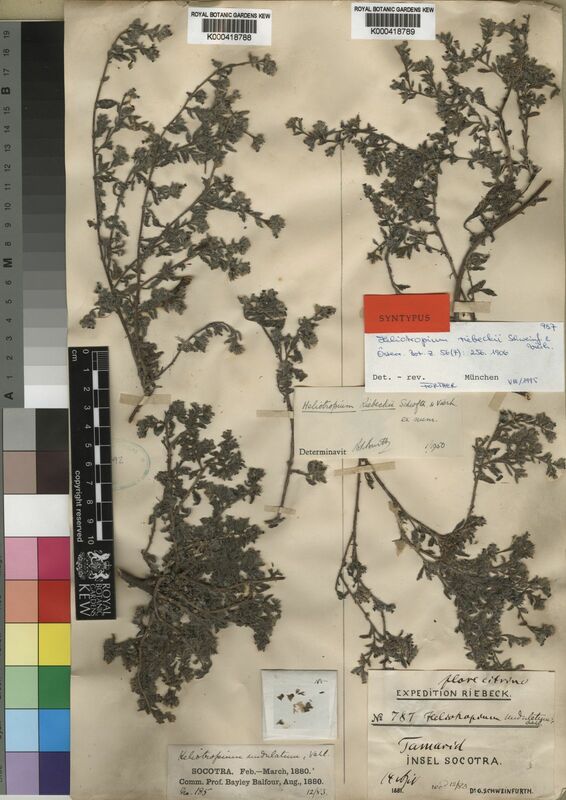 Ethnoflora of Soqotra Archipelago: 1-759. The Royal Botanic Garden, Edinburgh.